NATO headquarters hosted a discussion on the law of Ukraine on education in Brussels on Monday, November 6. There was also a meeting with experts of the Venice Commission. This was reported by the Minister of Education and Science of Ukraine Liliya Hrynevych on air of 112 Ukraine TV channel. According to her, the discussion in NATO was an initiative of the Ukrainian Ambassador to the North Atlantic Alliance. Hrynevych also noted that after the meeting many experts understood the language article of the law better, but it was difficult to deal with Hungary. "It seems to me that there was a very productive conversation. In fact, there were either ambassadors or representatives from all countries. It was a difficult discussion, but for so many participants, as it later turned out, it became clearer why we have this version of the article and how it will be implemented. Hungary is the only country very difficult to deal with. The decision to go to NATO and communicate, explain our position on the language article proceeds from the fact that Hungary today is blocking Ukraine's initiatives in NATO, taking advantage of the fact that decisions in NATO are made by consensus. It was important for us to explain our position to all other countries, "she said. Hrynevych added that there was also a meeting with the experts of Venice Commission. "I had a two-hour meeting with representatives of the Venice Commission, among them were members of the Venice Commission, and experts, the general impression that they were deeply interested in the article. We submitted arguments not only on the article itself, its edition, but also discussed ways to implement it, because this article is very general, it concerns the whole education system, but how this will be implemented in detail in the schools of Ukraine will be written out in the law "On general secondary education", the minister summed up. As it was reported earlier President Petro Poroshenko signed the law of Ukraine #2145 VII ‘On Education’ on September 25. Hungary, Romania, Bulgaria, Russia and Moldova expressed the protests towards the law. Minister of Foreign Affairs of Hungary Peter Szijjarto claimed that the government of Hungary decided to block all further decisions of the EU that aim for the rapprochement of the EU with Ukraine due to the ‘Law on Education’. 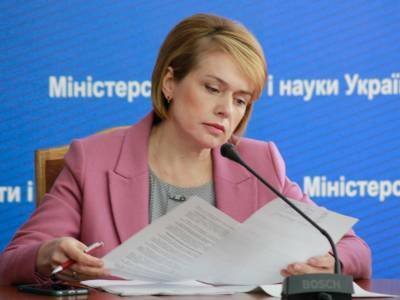 Minister of Education and Science of Ukraine Liliia Hrynevych announced the date of the negotiations between Ukraine and Hungary on ‘Law on Education’. Later Hungary blocked the session of the "Ukraine - North Atlantic Treaty Organization (NATO)" commission in December. "Hungary cannot support Ukraine's integration aspirations, so it vetoed the convening of NATO-Ukraine commission in December," Szijjarto said. The minister added that Hungary is ready for consultations, but cannot agree with the situation when, according to Szijjarto, the law selects the previously obtained rights of national minorities.